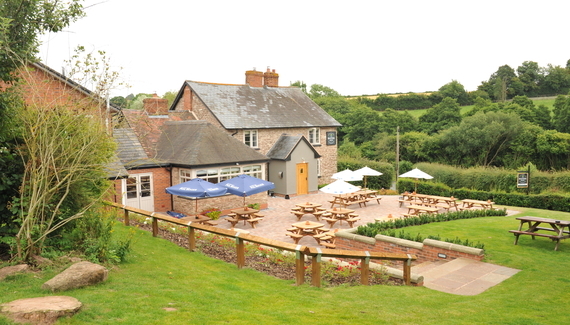 A lovely old pub that has upped its game hugely, with fine dining now on offer, yet still has a proper bar and an authentic snug for snoozing over the daily papers. Staff are fresh-faced, well-trained and cheery so you’re looked after beautifully. 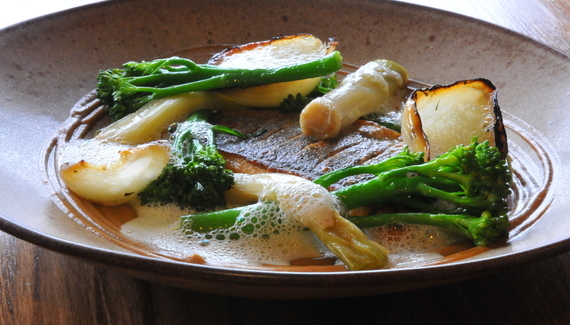 Head chef Charles Bradley conjures memorable dishes from carefully sourced food: lunchtime pub classics have been given a tasty twist; evening menus are a tour de force. Sample one of the forty gins, a hand-pumped ale from the Wye Valley Brewery or something from the thoughtful wine list. If you come for lunch, load up on parmesan arancini with truffle mayonnaise followed by beef chilli with crispy rice, mature cheddar and triple cooked chips. Resist pudding if you must, but with the likes of white chocolate and banana bread pudding with salt caramel on offer, why would you? At least one bedroom & bathroom accessible without steps. Suitable for guests with a baby or toddler under 3. Grounds for guests to explore. 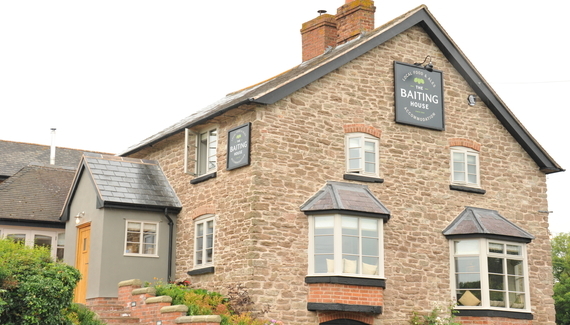 Nestled on the Herefordshire / Worcestershire borders (the county boundary is half a mile away) the Baiting House is surrounded by stunning scenery, pretty little villages and old-fashioned towns. 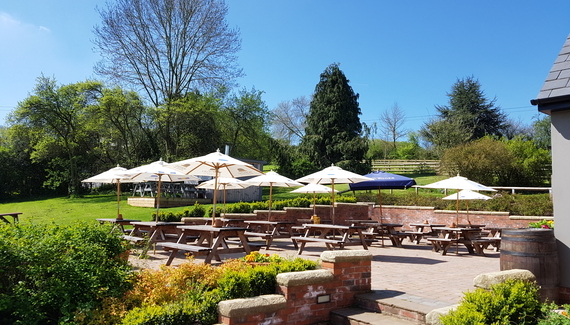 For kids there's loads to do in the area - we're less than half a mile from West Midland Safari Park and the Severn Valley Railway. The cathedral cities of Hereford and Worcester are each around half an hour away and offer great historic sights as well as great dining and charming shopping opportunities. The big thing about the Baiting House is its food. 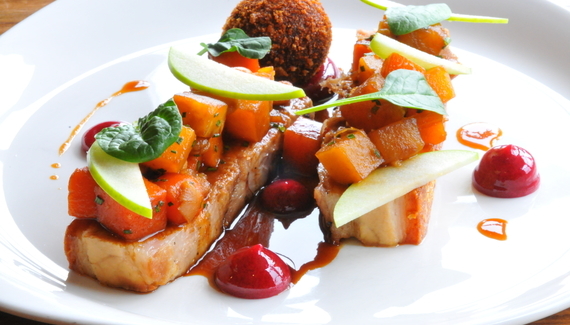 Lots of our guests say it's the best they've experienced outside a Michelin restaurant! 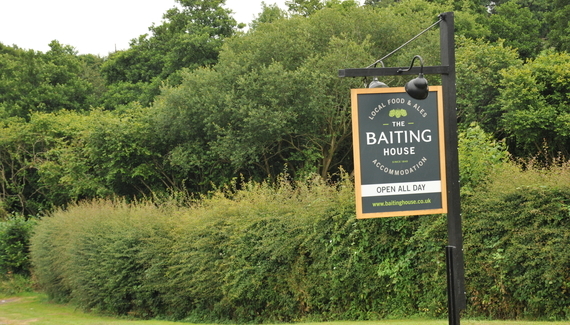 Have you visited The Baiting House at Upper Sapey? Lunch from £10. 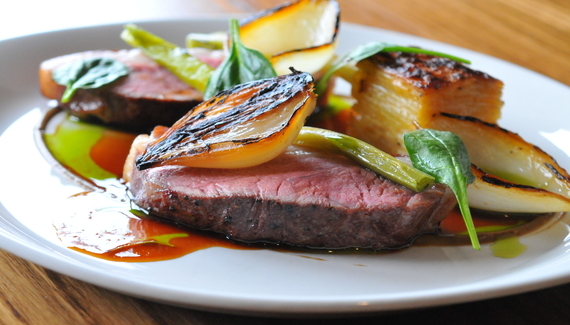 Dinner, 3 courses, from £25.